Time-lapse photography is a technique that allows us to condense long passages of time into short bursts of video. This technique is achieved by taking a series of photos at a set interval over a period of time. For example, one photo per minute over three hours. The photos are then played through in realtime, almost like a flip book, to show movement. In principle, this technique is similar to Stop Motion Animation. 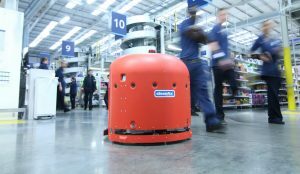 We’ve used time-lapses to showcase a wide variety of processes. From start-to-finish videos of multi-month construction projects, to short clips that demonstrate how much work happens in an office throughout a typical day, any long and high-movement process can be condensed with time-lapse. 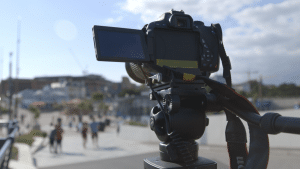 Thanks to our variety of time-lapse setups, we can produce time-lapses that form the basis of your whole video or simply compliment a broader piece. No matter your needs, contact us for advice on how you can use time-lapse techniques in your next video project. Time-lapse photography or sped-up video? There are two ways of creating a time-lapse. The first is by taking a series of photos at a set interval. The other is by filming a long video clip and speeding it up in post-production. Speeding up a long video can achieve much the same effect in a pinch. However, a proper time-lapse with a stills camera will produce a much more visually pleasing result. 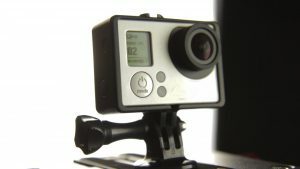 By slowing down the camera’s shutter beyond what most video cameras allow, a stills camera can capture extra motion blur which makes a time-lapse look far more fluid and, as a result, more visually appealing. What’s the longest period a time-lapse can cover? There’s no set limit on how long a time-lapse can last, although we will use different equipment for different types of projects. 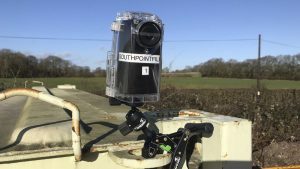 The main considerations with placing time-lapse cameras on a site are who has access to site and how much access there will be throughout the project, whether there is power on site, how long the cameras need to be on site for and how much data we can store on the cameras during that time. For short time-lapses, where the camera is actively monitored by a member of our staff throughout, we will typically use high resolution DSLR style cameras for capturing beautiful 4K time-lapse footage, occasionally with motorised equipment that will move the camera gradually throughout the duration of the time-lapse for added impact. For longer time-lapses where the camera is left unattended in a secure environment, and can be operated on mains power, we will use either DSLR style cameras or smaller action cameras. The cameras will be fixed in a set location and the image quality will usually be 1080p HD or higher. A member of our team will need to access the camera every week or two to offload the images. For very long time-lapses, where the camera could be on site without power, or projects where the camera is placed in a location with limited access, we have several battery powered time-lapse cameras which can be placed discretely out of the way to capture activity. The batteries in these cameras can last several months and they have plenty of storage for footage, albeit at lower 720p HD quality. They do not need to be accessed as frequently as our other cameras. We provide a flexible and affordable approach to time-lapse photography. 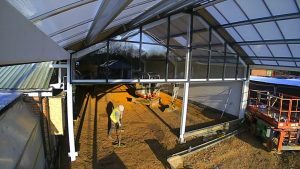 We have experience with a wide range of time-lapse projects that span a variety of lengths, and we always deliver a finished piece that exceeds our clients’ expectations. If you’d like to know more about how we can help you use time-lapse photography for your next video project, get in touch!